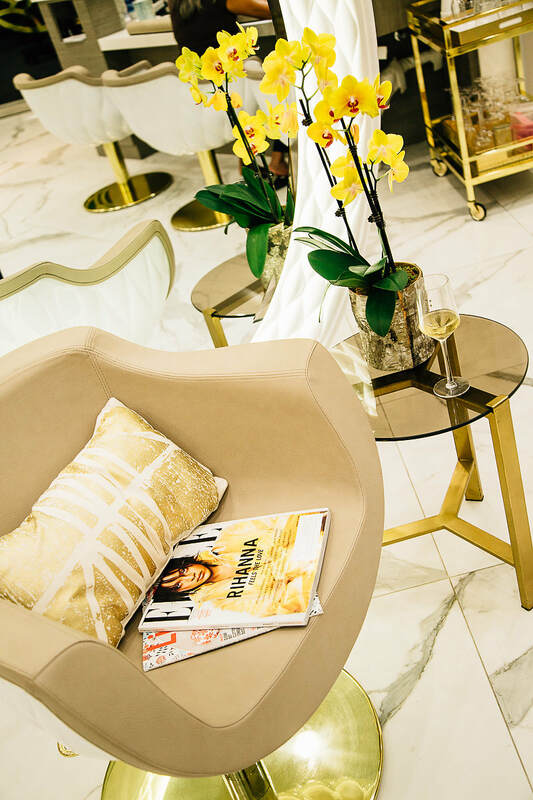 THE FIRST OF ITS KIND, A SALON THAT FOCUSES ON THE HEALTH OF ITS CLIENTS AND ITS ENVIRONMENT. YOUR PURE ESCAPE IS WAITING! Pure Escape Beauty Bar is the brainchild of mom-trepreneur and nail art fanatic, Winnie Yee-Lakhani. While she was pregnant she had trouble finding a safe haven to spend an hour of pampering and beautification. Why were women okay with inhaling toxic fumes, vapors and dust in order to get a manicure? She went to work studying the beauty industry and developing her brand. The average salon cuts corners and the client pays for it with their health. So Winnie decided to make a bold move and elevate the standards of the nail and beauty industry by focusing on the clients' and nail technicians' health. Pure Escape Beauty Bar was born! Today, Pure Escape is leading the industry by boldly banning acrylic monomers and acrylic fills and only offering the finest products on the market. Experience Winnie's Pure Escape...the way beauty bars should be! Pure Escape is not the average salon, we do things a little differently than most of the salons you may have been to. No assertive nail technician to sell products and services you don't want, just friendly gals who love nails and beauty! 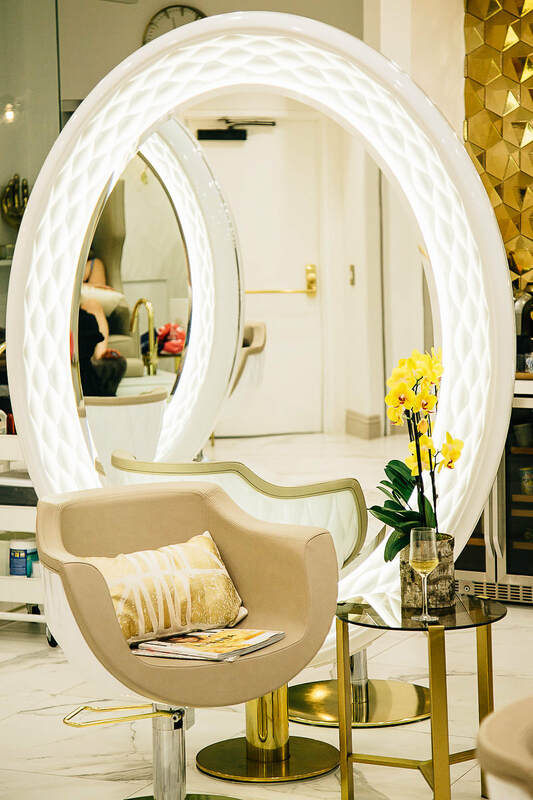 To us, a salon experience is more than just the a polish application. We care about your nail and skin health and the long term results of our exceptional quality products. By employing a medical grade sanitation policy, we go above and beyond what is required by the Orange County Health Care Agency (OCHCA) and the California State Board of Cosmetology. Before each use, non-disposable implements are cleaned and sterilized in a hospital grade autoclave and sealed in a sanitized pouch where they are properly stored, sterile enough to be used for surgery! All our spa jets are pipeless and the jet heads are removable for cleaning and sanitizing after each service. In addition, all hard surfaces are disinfected after each service to ensure that each client has a positive experience at our beauty bar. you don't realize you are inhaling it! Filing acrylics with an e-file creates microscopic particles that enter the lungs and cuts the tissues! Even though Pure Escape bans these two toxic practices, we go above and beyond to employ the 3 Zone Safety Ventilation System. This includes a Room Air Purifier, DustPlus HVAC filtration exhaust system and a source capturing system. Rest assured that when you spend your precious time in our salon you will not be compromising your health! The beautification process is only as good as its products. Healthier nail products do exist but are rarely used in the average salon because they are too expensive. Our featured brand is Bio Sculpture Gel and we absolutely love them because all their products are clinically tested and is the only nail manufacturer that holds an International 5 Star Safety Rating. Bio Sculpture Gel is clinically tested to be safe to use on pregnant women, nursing women and chemotherapy patients. To the best of our knowledge they are the only manufacturer to employ clinical testing and holds this international title. Most salons don't use their products because it's less than half the size of the typical nail gel and triple the price! Besides Bio Sculpture Gel, our other brand we use are vegan friendly and 5-free. "5-Free" is a term used in the nail industry to describe a product that is free of 5 toxic chemicals, being Formaldehyde (yes, the stuff used to preserve dead bodies), dibutyl phthalate (DBP), toluene, formaldehyde resin, and camphor. 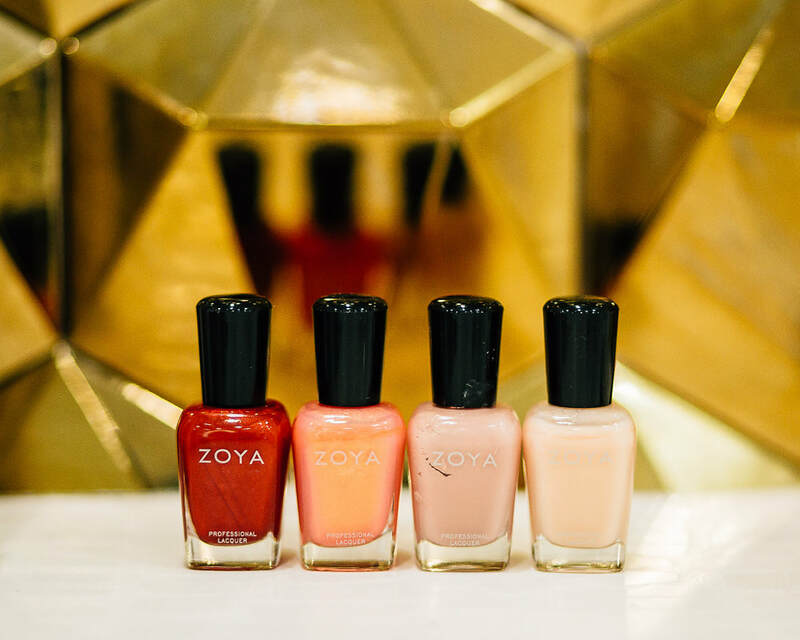 These brands include Zoya, Piggy Paint, Sophi, Dazzle Dry, Akzentz, and Presto. The brands we carry are hand selected not just for its safety but also for their performance. What good is a manicure if it only lasts 3 days?!? Not all gels and polishes are created equal. That's why under normal wear and tear we offer free repair for our Soft Gel services for up to 10 days and our Hard Gel services for up to 14 days! Not only do we offer exceptional products to our client, we have over 500 polish shades and over 500 gel shades to choose from! We invest more money in our products because we wouldn't use anything less on ourselves and we truly feel that our clients are worth it! As if having over 1000 nail shades to choose from were not enough to get you in the door, we have over 30,000 Swarovski Crystals in hundreds of colors, shapes and sizes. Couple those selections with our large collection of Japanese nail charms, the nail art world is your oyster! In addition, we consistently invest in our nail artists' training to ensure that we are at the forefront of the newest and hottest nail trend. 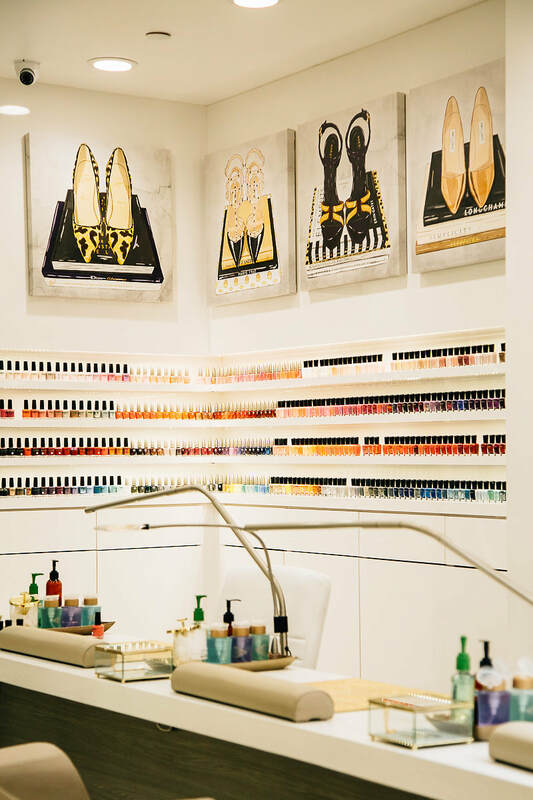 We encourage you to bring in a picture of your favorite nail art during your next visit. Let's get fancy!